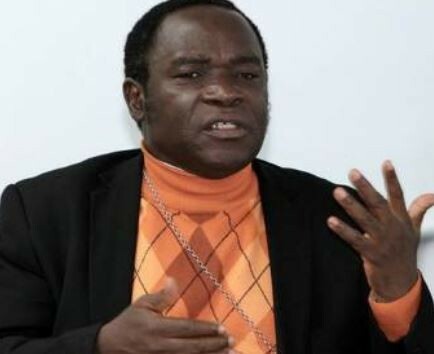 The Catholic Bishop of Sokoto Diocese, Matthew Hassan Kukah has said that there is a very high tendency for any Nigerian President to be irresponsible due to the extent of power he wields. He stated this in his address during the annual lecture at the Ulefunta/Oyemekun festival in Akure, the Ondo State capital, on Friday. According to Kukah, no President in the world could boast of the kind of power available to the Nigerian President. “No President in the world has the kind of power the Nigerian president has and as such, no President in the world can be as irresponsible as the Nigerian President. His power is so much that he can give oil bloc to his girlfriend and many others. You thus can’t be a man of honour and live in a country like Nigeria and not be angry. What is the problem? It is the dilemma of leadership. In America, there are basic expectations of what a President should be. For instance, he must have gone through Harvard as an institution, he must have language and track record, not even wealth. You can’t surprise the system. Here in Nigeria, a local government Chairman wants to be Governor; the Governor wants to be President and the President doesn’t want to go! Many states have two governors representing them at the National Assembly. “Awolowo, for his major quintessential evidence as somebody who already figured out what he would do with power if he got it. He understood the building blocks for an egalitarian society. Aminu Kano single-handedly took on the feudal class in northern society and had a deep understanding of society, even as he textually talked about a free society in a way and manner that didn’t offend religion”. The post “No President In The World Can Be As Irresponsible As The Nigerian President” – Catholic Bishop Of Sokoto Diocese, Matthew Kukah appeared first on LATEST NIGERIAN NEWS BREAKING HEADLINES NEWSPAPERS.